“Sea What You’ve Been Missing” in this month's Recipe Redux challenge, where members used sea veggies or small fish to create a healthy recipe. After a yucky experience with sardines, I chose to use sea veggies for the Recipe Redux. Nori, or dried seaweed, has become an easily available product in grocery stores across the country. Nori is most often used as a sushi wraper, which was in fact, why we have nori in our house. Don't be scared of this recipe. A whiff of a lonely nori sheet may bring you ocean side, but this NoriPopcorn recipe uses chili, lime, and a touch of sugar to create a crisp treat with popcorn. Hot, sweet, salty and tart, all in one bite! 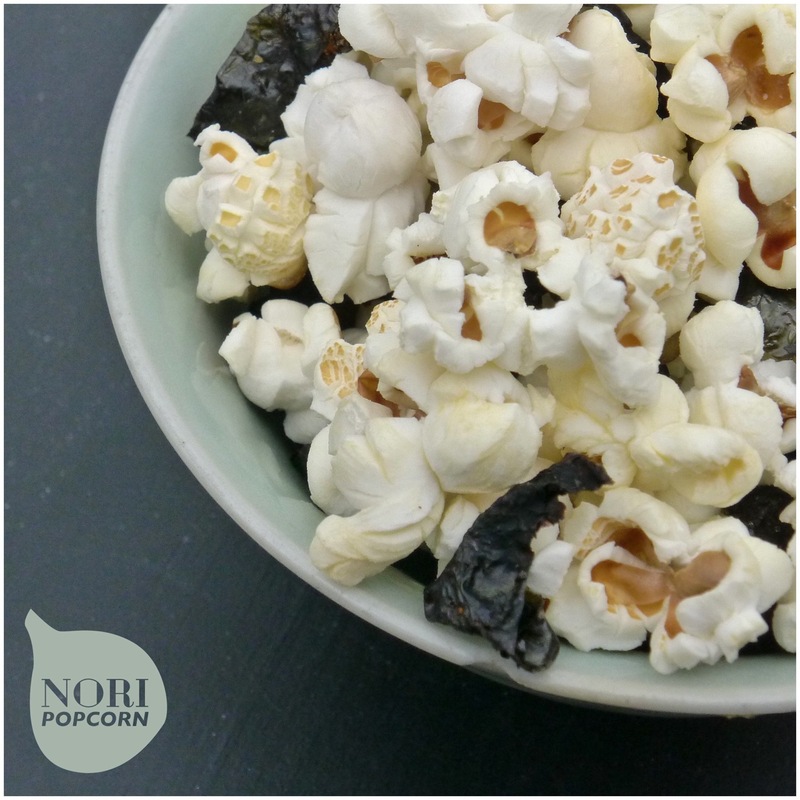 Nori is a good source of minerals and vitamin C while popcorn is a whole grain. A handful or so of this mix is a satisfying snack at home or on the go. I'm personally thinking about just taking the nori crisps in the car with me! Directions: On a cutting board, lay out one sheet of nori. Squeeze lime juice over the sheet, enough to evenly dampen the nori. Sprinkle chili powder and sugar evenly over one half of the limed nori. This will create a light coating of sugar and chili. Fold the nori in half, sandwiching the sugar and chili. Cut the sandwiched nori into strips about 1/4 inch in width. The strips should run from the crease to the opposite end of the nori. Preheat the oven to 250 F. Place the nori strips onto parchment paper on a baking sheet. Put in oven for 15-20 mins, or until the nori is completely crisp. 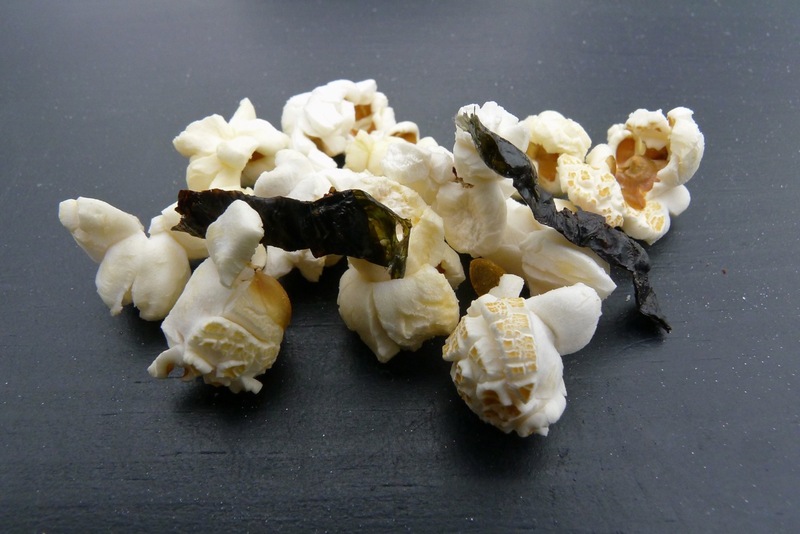 Pop the popcorn and toss in a large bowl with nori crisps.